The rich, vibrant color alone makes spinach a welcome guest for spring gatherings. It’s an ideal early spring crop as the seeds can be planted approximately 6 weeks before the final cold snap. Fresh spinach can serve as the main attraction for many salad combinations or simply accent a host of bold flavors such as the case with Spinach-Bacon Roasted Potato Salad. It pairs beautifully with strawberries, raspberries, citrus segments & apples to roasted vegetables topped with blue cheese & toasted almonds. Add it to a stir fry or hearty soups such as Farro Minestrone or Fresh Herb Lentil Soup at the end of the cooking time & allow it to wilt slightly from the heat for sound nutritional value. Spinach is filled with vitamins A, C & E, fiber & protein as well as iron, magnesium & potassium making it a smart leafy green choice. Learn how to sauté it quickly on the stovetop for a host of recipe applications & valuable meal solutions. Fresh spinach leaves not only offer bright color on the plate, they’re hardy making them ideal to use when entertaining. They can stand at room temperature a bit longer than many other greens & still look great. 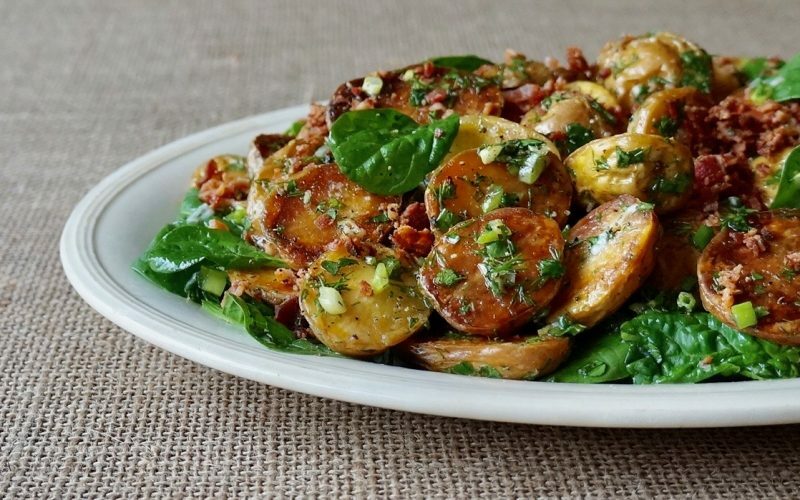 When used as a base for Spinach-Bacon Roasted Potato Salad, layer them on the platter just before serving then top them with the main elements. If wilted spinach is needed for other recipes, follow this simple technique that can also accompany grilled steak, chicken & pork tenderloin beautifully. Fresh spinach leaves make a flavorful side dish that can be prepared at a moments notice. Heat a little olive oil in a skillet over Medium heat. Add 2 pressed garlic cloves to the hot oil & sauté just under a minute or until fragrant. Begin adding the leaves to the skillet. Use a pair of tongs to move them about & as the bottom portion wilts, turn them. Keep adding spinach leaves to the pan & cook until wilted & bright green. 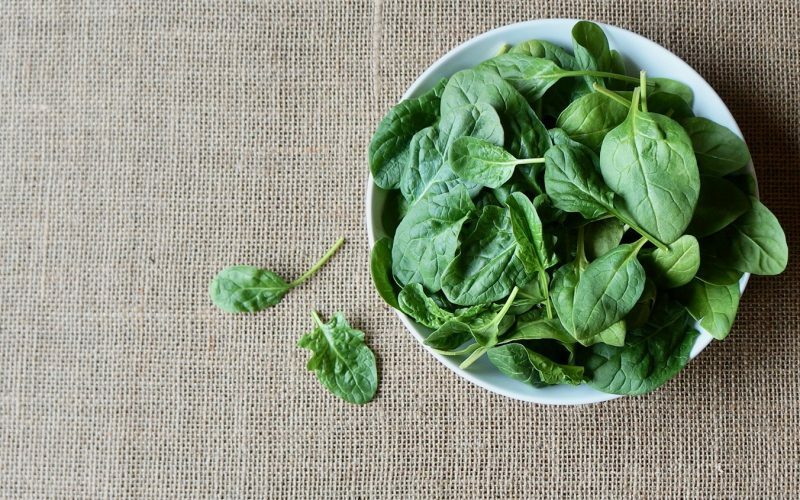 You can wilt 8-ounces of spinach in about 5 minutes. Season with kosher salt & pepper to taste. The spinach will release a good bit of liquid so just simply discard it. 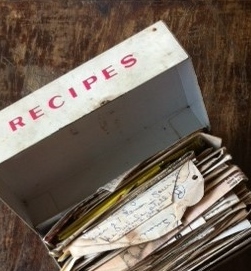 This simple cooking technique can also be used if specific recipes call for wilted spinach such as in the case of frittatas, quiche & dips. Drain the spinach well of excess liquid & proceed with specific recipe instructions.